The 1912 Olympics, held in Stockholm, Sweden, saw the first modern-day equestrian event for which that country won the gold in the team competition. At Haycroft Stables we offer riding lessons on high quality school horses, capable of taking our students from beginner class to the show ring. Lessons are conducted privately or in small groups in one of our spacious arenas 7 days a week from 11:00 am until approximately 8:30 pm. Philip Hay, long time rider, competitor, and now Professional Coach & Trainer at Haycroft Stables teaches his students English-styled riding concentrating on the Hunter & Jumper disciplines. 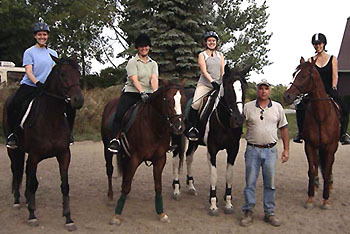 For safety's sake, all riders must wear an approved safety helmet, proper footwear with heels, and follow the rules of the barn. 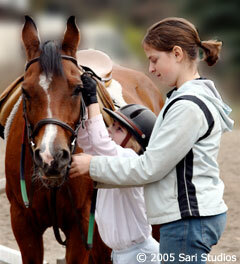 Click here to Download the Riding School Rules & Information and Application.